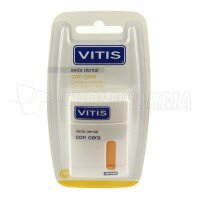 VITIS SEDA DENTAL CON CERA. Pack 2 Uds. 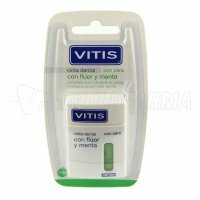 VITIS CINTA DENTAL CON FLUOR y MENTA. 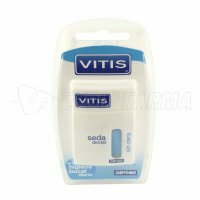 50 m.
VITIS SEDA DENTAL SIN CERA. 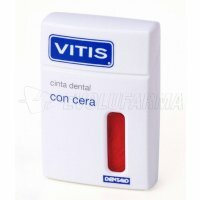 50 m.
VITIS CINTA DENTAL. 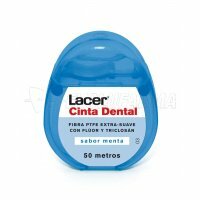 50 m.
VITIS SEDA DENTAL SUAVE CON FLUOR y MENTA. 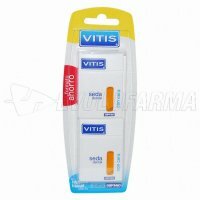 Envase 50 ml. 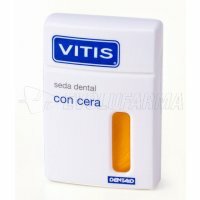 VITIS HILO DENTAL CON CERA. 50 m.